Bhutan, also known as the last Shangri La and the Land of Thunder Dragon is perhaps the most unknown but fascinating travel destination left. The climate of Bhutan is variable from region to region. While it is tropical in the southern plains, in the central’s valley one experiences cool winters and hot summers. On the other hand, in the Himalayas severe winters and cool summers are prevalent. This makes a Bhutan tour much more pleasant. There are also many trekking zones in Bhutan, some of then perhaps the best in the world. There are many trails in Bhutan yet to be discovered. And all this is possible now as the government has become much more focused on the tourism promotion of Bhutan. 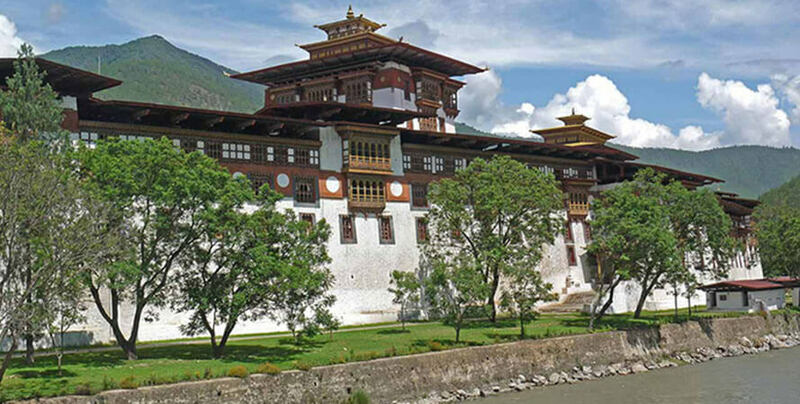 Bhutan is rich in its natural assets & also one of the last areas still pristine in all its nature. The main remarkable features of Bhutan includes untainted flora, un-hunted fauna, rare botanical plants, the colorful bird-life & so on. The scenic beauty of the countryside is really a treat for everybody form young to old age. Many colorful festivals are celebrated with mask dances depicting its rich culture. One of the most striking features of Bhutan is its architecture. All buildings, homes are built in the similar pattern of Dzongs – with patterns of rich colours in traditional designs and woodcarvings adorning the walls, beams, and pillars adding a certain magical grandeur to the naturally beautiful surroundings. Spread over 46,000 sq. km almost 90% of the people of Bhutan are farmers who live in villages spread across the country. With altitudes ranging from 200 m in the south to the 7,000 m snow-capped mountains in the north, vegetation ranges from tropical jungles to temperate and alpine varieties, making the country rich in its diverse flora and fauna.